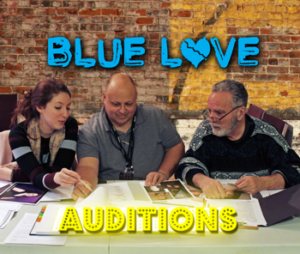 Director Matthew Marshall and co-writer/lead actor Helena Rose held the first audition call for their screenplay "Blue Love". Tremendous talent walked on stage for these auditions. It was a good day in London, Ontario for both the production team of m & s Marshall Productions that's producing this movie and the actors that came and auditioned. Don Hickey was pleased knowing that future productions through iFilmGroup will garnish the rich talents of the participants.